Loblaw Companies Limited is warning the public not to consume President’s Choice Organics infant cereals due to unpleasant, rancid odour or taste. To see photos of the eight recalled cereal products, click here. Please note that all lot codes of these eight President’s Choice Organics infant cereals are affected by this alert. 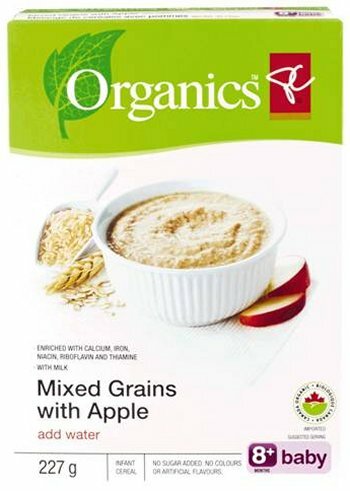 OTTAWA, January 18, 2012 – The Canadian Food Inspection Agency (CFIA) and Loblaw Companies Limited are warning the public not to consume President’s Choice Organics infant cereals described below because these products may have an unpleasant rancid odour, or taste. Loblaw Companies Limited is voluntarily recalling the affected products from the marketplace. If the cereal has an unusual odour or smells ‘off’, it should not be consumed. If an infant has been fed any of the products described above, discontinue feeding this cereal and monitor for symptoms. Consumption of rancid food may cause symptoms such as nausea, vomiting, and diarrhea. If you have any concerns please seek medical attention. The importer, Loblaw Companies Limited, Toronto, Ontario is voluntarily recalling the affected products from the marketplace. The CFIA is monitoring the effectiveness of the recall.